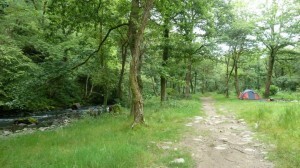 The ‘Lone Wolf’ campsite is a privately owned niche woodland site located just outside Aberdulais in South Wales. 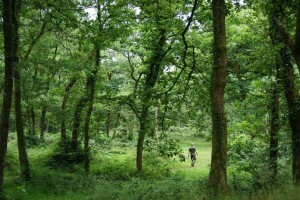 There is a 20 acre natural deciduous woodland available for pre-booked camping. The emphasis here is on peace and quiet, back to basics. There’s nothing fancy here. People have been coming since 1999 because it’s unusual, different, eccentric perhaps and informal. If you want a camp site where you can play stereo’s, find a clubhouse, have shops on site etc then you are most definitely in the wrong place! There’s plenty to choose from, but this place is not the right one for you. The site has been featured in several books and numerous press articles over the years. They were all very complimentary but did result in rather more customers, attention and resource demands than we wanted. We only take limited numbers here.